Daisy Driscoll, the heroine of The Girl from Cobb Street, is brought up in an East End orphanage. She remembers it as a lonely and unhappy place and that is the image many of us still carry in our minds – that of a bleak Dickensian establishment. Nineteenth century institutions could certainly be as miserable as those Dickens depicted, and when Daisy arrives in Cobb Street in 1920, the Victorian influence is still very much in the ascendant. The picture below was taken in the early 1900s and is a good example of how Daisy’s orphanage might have looked from the street. The interior would have been only marginally more cheerful. 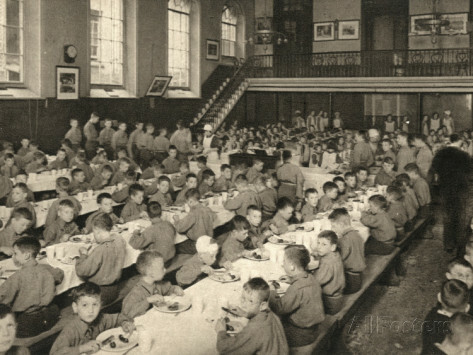 Below is a picture of the dining hall in the Alexandra Orphanage, Haverstock Hill, London. The children are fed and clothed but there is a dreary uniformity to the picture, emphasised by the black and white image. Boys eat in regimental lines, seated on hard benches, and those waiting to sit down are also assembled in a strict line. The attendants you can glimpse are dressed in black and white uniforms, a stark echo of the grey and black of the boys’ clothes. A few pictures adorn the walls – one looks as though it’s about to fall to the ground – but there are no curtains, no floor covering, no comfort. Many Victorians considered that poverty was the result of a lack of effort and to intervene would simply encourage more people to fall into debt. But a contrary strand of Victorian thought held it was incumbent on Christian charity to provide at least basic support, and that included caring for orphaned children. ‘Basic’, of course, was the key word. Below is the kind of dormitory that Daisy would have shared with dozens of other children. For centuries it was the Church’s role to look after the most vulnerable in society, but by the time the first Poor Law was passed in the late sixteenth century attitudes were changing. It became seen as a public responsibility. The law made it the duty of every parish to support its poor inhabitants when their families could not provide. It was low level support but while England remained a primarily rural country with strong family ties, the system worked reasonably well. Industrialisation, however, brought mass migration to towns and cities and with it a huge growth in visible poverty. 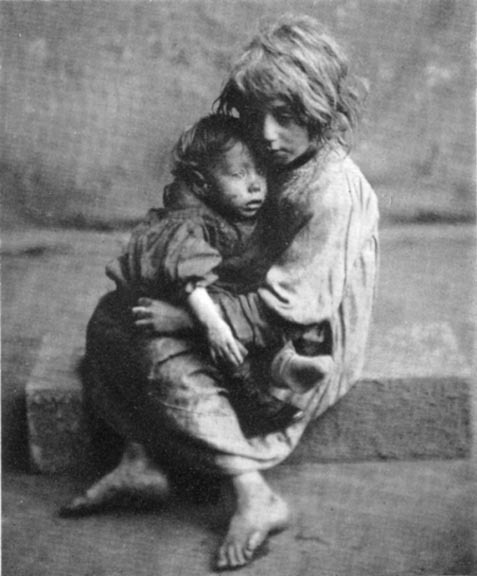 By the early years of the nineteenth century, the problem of abandoned children in urban areas, especially London, had reached alarming proportions. As the century moved on, hordes of urchins eked out a hand-to-mouth existence, fending for themselves while their parents worked fourteen hour days in the factories and docks. A third of households were without a male breadwinner and women were forced to go out to work, leaving children as young as six to look after their younger siblings. Older children ran errands, swept the streets, cleaned windows or helped to make matchboxes and paintbrushes. It was poorly paid, exhausting work, especially for malnourished children. This was happening at a time when, thanks to the Empire, Britain was prospering and bringing immense wealth to factory owners and traders. But for these children, life was a constant struggle for survival. Diseases such as diphtheria, cholera and measles flourished on streets littered with rubbish, excrement and dead animals. Rent, even for hovels, was so high that when parents were unable to find work, they quickly fell into arrears and were thrown onto the street. Between 1821 and 1851, the population of London doubled and then doubled again before the end of the century. Much of this increase was concentrated in the East End, leading to overcrowding, bad housing, unemployment and disease. 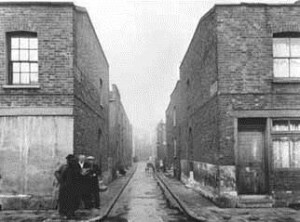 This image shows an East End street around 1920, the kind of street with which Daisy Driscoll in The Girl from Cobb Street would have been familiar. The East End was the poorest area of London, and many of its buildings were categorised as dangerous to the public health. Incredibly infant mortality was higher in 1900 than in 1800, almost certainly due to the increase in town living. Nearly twenty per cent of children died before their first birthday. Poor families lived ten to a room with no clean water for washing and drinking. Just thirty years earlier fifty-five percent of Spitalfields children did not make it past the age of five. 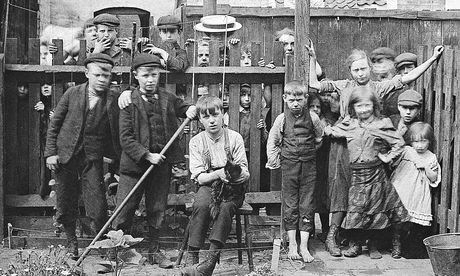 A child finding him or herself destitute and living on the streets of towns and cities earlier in the century had been likely to stay there, unless dragged off to the workhouse. The workhouse system, begun in 1834, was an attempt to house orphans as well as other vulnerable people who could not support themselves, in exchange for work. Conditions, especially for the women and children, were brutal and soon raised a clamour for change among social reformers. A rising Victorian middle class, growing wealthy from England’s world trade, had the financial resources to bring that change about. It led to the birth of the orphanage movement. A few orphanages had been set up earlier – the Orphan Working Home in 1758 and the Bristol Asylum for Poor Orphan Girls in 1795 – but the movement really gained momentum from the mid 1800s and had its ‘boom’ time around the turn of the century. Some orphanages adhered strictly to taking only orphans, others also took in children who had lost only one parent or whose family were destitute. Today social care is provided by the state, but in the Victorian period many institutions were founded by private benefactors. 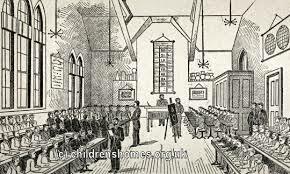 The Ragged schools, for instance, were set up in working class districts of industrial towns and cities by John Pounds and Lord Shaftesbury. They provided pauper children with a basic education together with food and clothing. 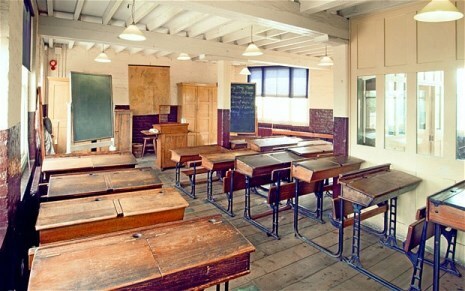 You can see how a Ragged school would have looked by visiting the Ragged School Museum in Tower Hamlets. The museum is housed in what was once London’s largest Ragged school, and allows children to experience what it would have been like to study in Victorian Britain – right down to writing on a slate board. The Foundling Hospital in Bloomsbury was established in 1741 by the philanthropic sea captain, Thomas Coram. It was a children’s home founded for the education and maintenance of exposed and deserted young children, and by the mid nineteenth century had become a large and well-supported orphanage. Handel had been one of its early benefactors, dedicating to its upkeep the profit from performances of The Messiah. 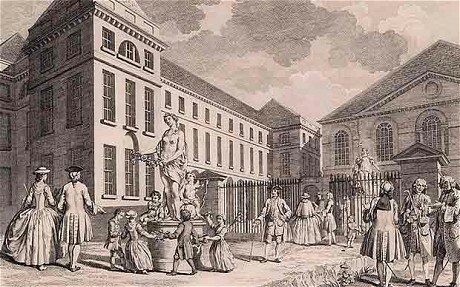 The Foundling Hospital in Bloomsbury, 1741. When babies were left at the Foundling Hospital, the only things identifying them were tiny scraps of fabric left by their mothers. 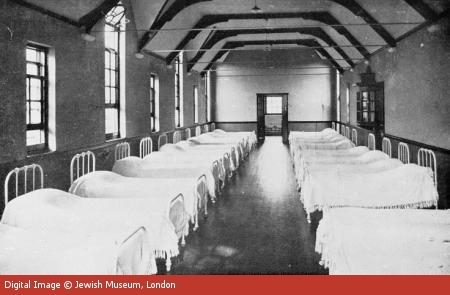 During the 1950s British law moved away from the institutionalisation of children towards adoption and foster care and the Foundling Hospital ceased most of its operations. It changed its nfame to the Thomas Coram Foundation for Children and currently uses the working name Coram. Another colossus of the orphanage movement was Thomas John Barnado, founding a charity that provided homes for vulnerable children across the country, including those with parents. Poverty and unemployment meant many families could not afford to look after their children and handed them over to the charity’s care. 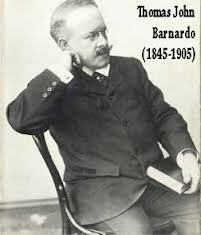 Barnardo and his staff were also active in removing children from parents whom they deemed cruel or neglectful. Residential homes were seen as places where the child could grow up away from corrupting influences and learn to lead a useful life. 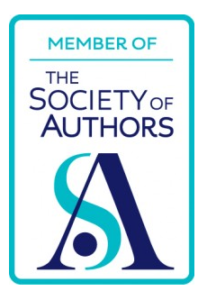 The image of secure homes was popular with the public and attracted substantial donations, enabling the charity to expand its provision of residential care. 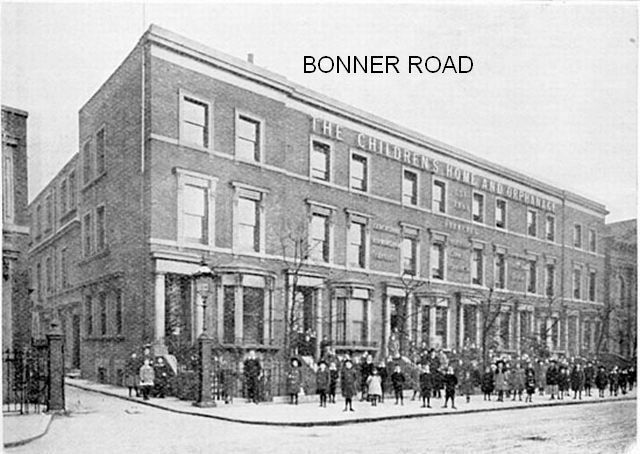 By the time Thomas Barnardo died in 1905 the charity he founded ran 96 homes caring for more than 8,500 children. From the 1950s, Barbardo’s, like the Thomas Coram foundation, changed its name and its focus, concentrating on lobbying on childhood issues, running an adoption service and campaigning to raise public awareness of the diverse work the foundation undertakes for vulnerable children. Spurgeon’s probably hadn’t changed much in the 70 years that preceded my arrival. It was religious, controlling and punitive, placing its faith in cleanliness, corporal punishment and learning by rote. The childcare values embedded in Spurgeon’s strict regime may have been essentially Victorian, but they were shared by much of the rest of British society in the Thirties and Forties … Hugs and kisses, it is true, were absent from my childhood, but it is only thanks to the Spurgeon way of doing things that, 70 years later, I can still recite from memory chunks of the Bible and many poems…their approach was crude but effective, with the 3 Rs rammed into us by copious use of the cane. Very few boys left without being able to read, write and comprehend basic arithmetic. It was enough to propel me into a career in journalism… The harsh treatment inspired a tremendous camaraderie among those forced to endure it…(it was) the one place where being illegitimate mattered not the slightest bit… all the other boys were more my brothers than any ­outsider could be: I had become thoroughly institutionalised and content to be so. It’s an upbeat assessment of a regime we would condemn today.